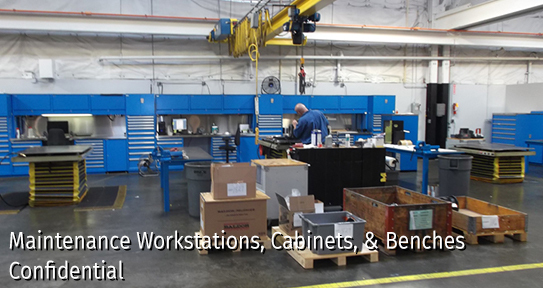 Ergonomic technical furniture such as work tables, benches, cabinets, drawers, and specialty chairs help our customers improve their operational efficiency and workplace effectiveness. The modular nature of these products allows many different options when integrating with your plant or facility. All of our manufacturers have a wide range of interchangeable accessories that allow us to use lower cost, standard components in order to deliver a customized solution. We work with several manufacturers of of these types of products, and can help design, layout, and install any of these systems to meet your requirements. Contact us today for a free quote. 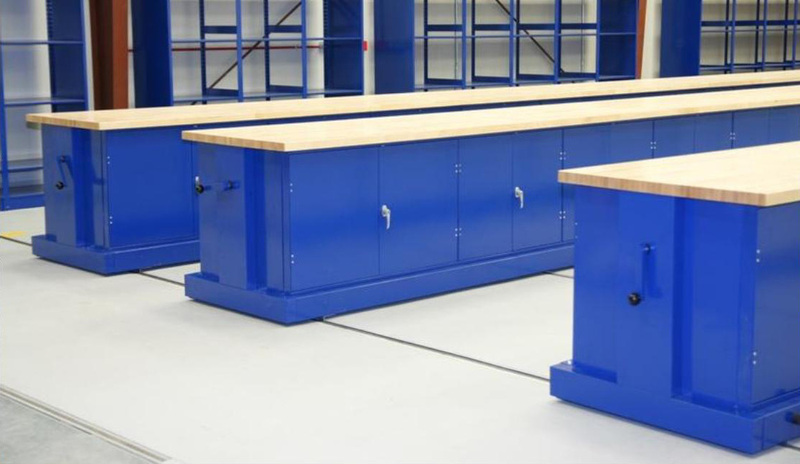 You can also visit our Workstations & Cabinet Storage Portfolio to see some of our completed projects. Parachute Folding Tables offer the perfect solution to maximizing space efficiency while providing the needed table area. 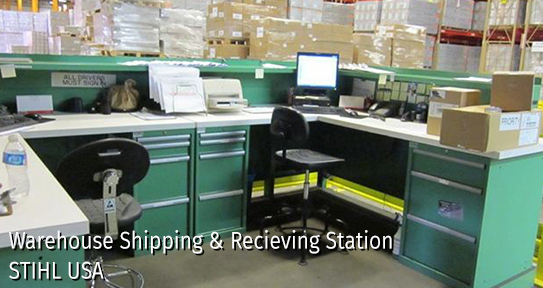 The workstations are installed on a mobile aisle system and run up to the length of the room to maximize usage. Setup the parachute folding stations or move all tables to one side of the room; both are easy to achieve. Lista's high-density drawer, mobile, tool, shelf and specialty cabinets are ideal for organization and access to parts, tools and items of nearly any size and type. 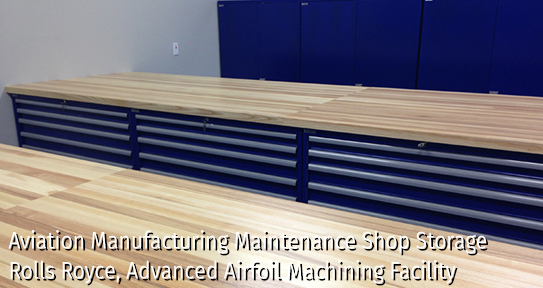 They also manufacture the industry's most comprehensive line of workstations, workbenches, worktables and technical furniture. Name an industry. 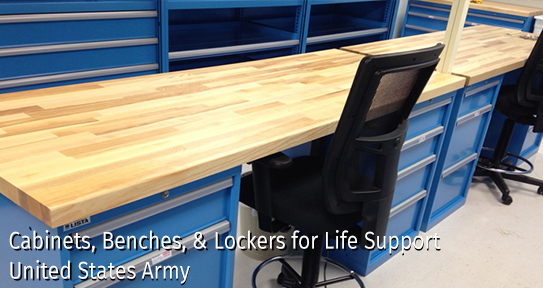 Chances are, companies within are using Lista workbenches, storage systems and cabinets to make their workspace work. Sovella designs and manufactures ergonomic industrial furniture such as work tables and work benches, shelving and cabinets, drawer units, manual assembly lines for various industries, homes and public buildings. Sovella products are manufactured to the highest quality standards. Their designs are also stylish with attention to details for a first-class look. High quality materials and careful design ensure that an investment in Sovella will provide functional solutions for decades. For more than six decades, FireKing has taken great pride in providing homes and businesses with safety, security and organization, along with the reassurance of knowing they can recover from whatever disaster life throws at them. From documents, petty cash, key management, and data storage to your most business-critical files, FireKing keeps the truly irreplaceable, truly safe. Innovative brings a whole new way to work with the Winston Workstation™, which instantly converts any desk into a sit stand work space boosting health and productivity. "Recent studies have shown that sitting throughout the day can have the same negative health consequences as smoking. Winston seamlessly integrates into your workday for a boost in health and wellness." SEK Solutions offers a variety of chairs, stools, and specialty seating featuring the latest advancements in ergonomics such as contoured waterfall cushions and 6-way armrests. These features are proven to improve posture and blood circulation, especially for those that are required by their jobs to sit for long periods of time. These seats are designed for use in laboratories, offices, clean rooms, and other industrial environments. We also offer specialty seating for medical and drafting uses as well.